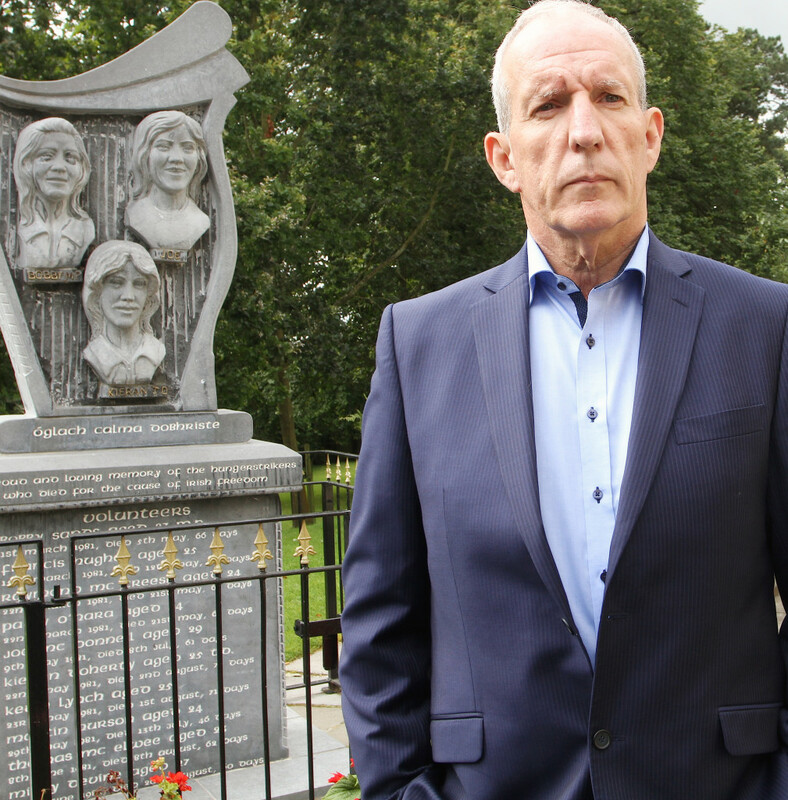 Bobby Storey was warned of a death threat against him as he left Antrim Serious Crime Suite last Thurday evening, the northern Chair of Sinn Féin has revealed. The DUP followed the UUP out of the Stormont Executive after Mr Storey’s arrest and now talks to ressurect the instutions are floundering after Secretary of State Theresa Villiers refused to accede to unionist preconditions in a House of Commons address yesterday. The Andersonstown man said no evidence was put to him or his solicitor during his time in Antrim. “There was nothing about the actual murder of Kevin McGuigan that was in any way specific to me, generally speaking any questions that were put about his death could have been put to anyone, really. “My solicitor continued to challenge this ridiculous basis for questioning me. Much of the questioning was quite bizarre. “Over the two days there were around eight lengthy interviews. There was nothing said to me which in my opinion and in the opinion of my solicitor which warranted my arrest. “My solicitor regularly raised the absence of any evidence, the length of interviews, the time-wasting gaps between interviews and the repetitive nature of the questioning. Mr Storey remains adamant that a number of unionist politicians and sections of the media had received briefings from the police, given their utterances before his arrest. “Over the course of my detention I and my party were subjected to trial by media as a result of those briefings,” he said. “The basic rule on which the justice system is built, the presumption of innocence, was discarded and wild accusations and allegations were being presented as facts. For some, it seems that backroom briefings from security sources were taken to be fact and reported as such. “I have grave concerns at both the nature and timing of my arrest. There are also concerns that unionist politicians and sections of the media appeared to have advance knowledge that I was going to be arrested. The fact that it came at a highly important time politically when we are involved in talks also raises many questions. “We are determined to see those questions answered and that is why Sinn Féin is seeking a meeting with the PSNI Chief Constable. We will also make him aware of the deep sense of concern within the republican community surrounding my arrest. “We will use the accountability mechanisms which Sinn Féin have secured in relation to policing in order to have these questions answered. We worked hard with others to ensure those mechanisms are in place and I now intend to use them. The former IRA prisoner, who spent 20 years in jail, said it has to be remembered that there are two grieving families who deserve justice. “The murders of Jock Davison and Kevin McGuigan were criminal acts and those responsible should be brought before the courts,” he said. “Sinn Féin has publicly called for anyone with information to come forward to the PSNI and I repeat that call today. “The only way to deal with these killings is through the criminal justice system. While unionist politicians are calling on Sinn Féin to admit that the IRA is still in existence, at a press conference in West Belfast on Sunday Bobby Storey said the PSNI Chief Constable, George Hamilton, viewed the IRA was a caterpillar. As far as he was concerned it had turned into a butterfly that “flew away”. Speaking to Daily Belfast, Mr Storey repeated his belief that the IRA “has gone away”. “It has left the stage and is not coming back,” he said. “While the Chief Constable and I take different views on this matter, I would point out that the Chief Constable himself and the Garda Commissioner have accepted that the IRA’s military structure and capacity is gone. “People living in republican communities across the north know that to be the case. “Unionists may want to continue looking for the non-existent IRA bogey man, but the fact is that the IRA has gone. “This whole contrived crisis has been about the cynical manipulation of two criminal acts for narrow electoral gain by unionist parties. Asked where he thinks the way forward is from here, he said: “Well, I am not sure cynics can be convinced, they are, after all, cynics. But I look at it like this: the conditions and circumstances that gave rise to the emergence of the army (the IRA) are gone, the Orange State is gone. “The IRA left the stage, as articulated by Séanna Walsh in 2005, and not only was that the right thing to do, it happened. “I also think there is a clear logic about this, there is no actual role for the IRA. Look at attempts in recent years by others to invent other charlatan so-called IRA groups. Every one of them quickly fell into a confused mess of in-fighting, splits, criminality, extortion and vigilantism with new groups being announced every other month. In the absence of historical context that was always the way that would go and they have become another blight on our community. He added: “The people responsible for these murders are criminals and the enemies of the Sinn Féin peace strategy. The familes of both these men are entitled to and deserve justice. “Sinn Féín has publicly supported the investigations into these killings and have called for anyone with information to come forward to the PSNI. That remains our position. “We want to see full and robust police investigations, free from any interference, so those responsible can be brought before the courts. Mr Storey said Sinn Féin will approach any new round of negotiations in good faith to find a resolution. “Sinn Féin entered into this talks process in a constructive mode in order to find a resolution to the difficulties currently facing the Executive. We want to see resolution on the basis of the Stormont House Agreement, including welfare protections and issues around the legacy of the past, flags and identity. “We expect other parties to meet their commitments on the implementation of the Stormont House and previous agreements and we want to achieve a workable budget. “That is how Sinn Féin has approached all of the negotiations we have been involved in throughout the peace and political processes and this is no different.